Nintendo’s been banking on Mario Kart to help revitalise the Wii U. It’s one of those games that just has the power to shift Nintendo hardware. And it it looks like it’s done just that, boosting Wii U sales significantly. According to Nintendo of America’s beefy manmeat executive Reggie Fils-Aimee, speaking to Polygon, Mario Kart’s sublime racing and star-power draw has helped the Wii U’s sales increase fourfold. 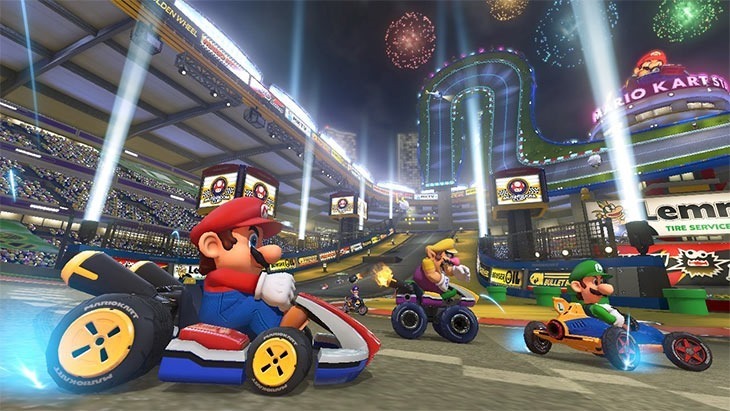 Yes, Mario Kart has helped the Wii U’s sales throughput quadruple. "It’s one of the things I have to do with certain media, remind them, look, for us, the drive toward the holiday began a couple of weeks ago with Mario Kart 8," he said. "And that’s off to a fantastic start. For us, on a global basis, and certainly here in the United States, it’s driving hardware, which is great to see." Of course, no actual numbers were mentioned – so there’s always the temptation to say that four times nothing is still nothing. Mario Kart 8 has made a difference to the Wii U’s fortunes and public image – and I suspect that Nintendo’s excellent showing at E3 this year will expand upon that. Have you seen anything from Nintendo to make you reconsider a Wii U purchase? Previous article E3 2014 – Nintendo reveals Code Name S.T.E.A.M.